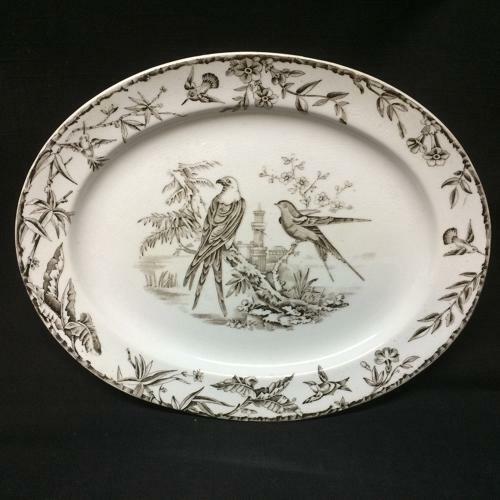 This Victorian aesthetic 11 3/8 " long x 9 " wide plate is transfer printed in black against a white background. The pattern features some of the most outrageous looking birds the potteries artist could imagine. A rim of wildly tropical flowers with hummingbirds. An ornate garden house sits in the background in the well of the platter with two Sparrow Hawks perched upon flowering tree branches.